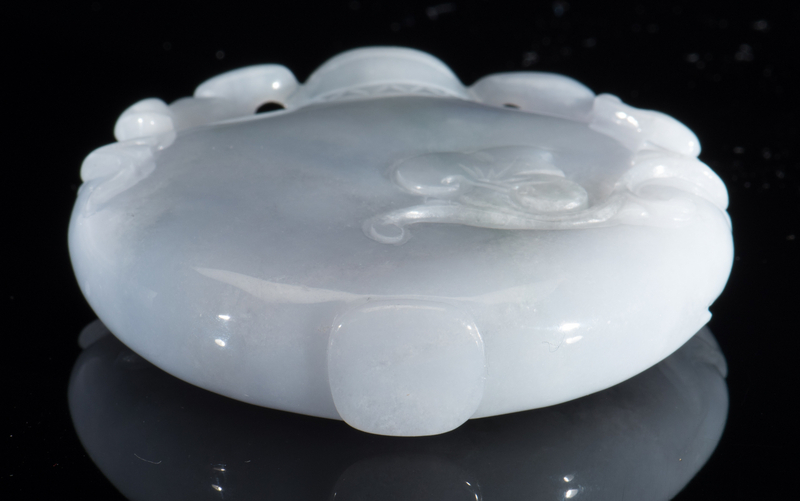 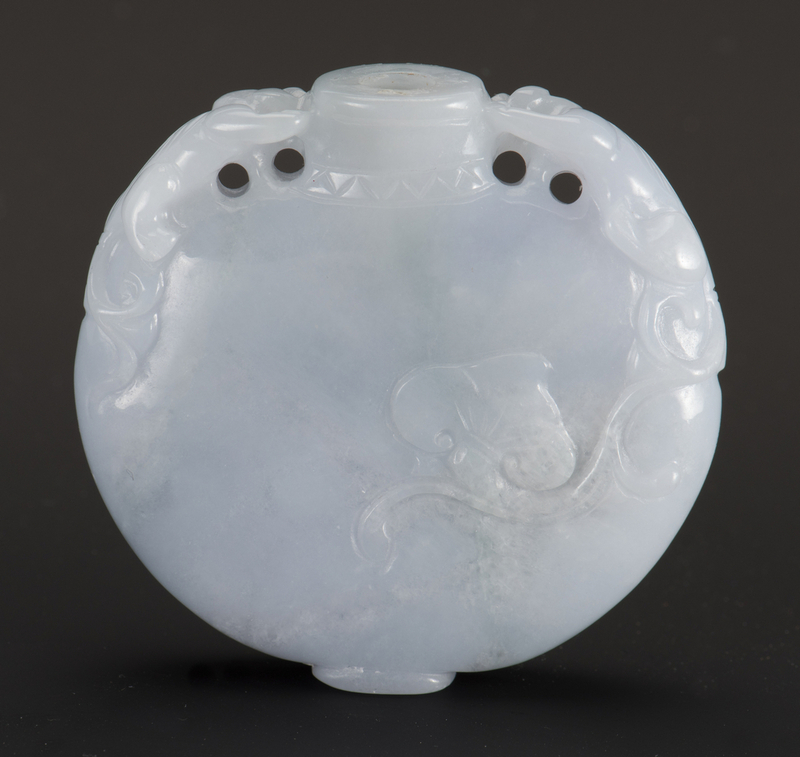 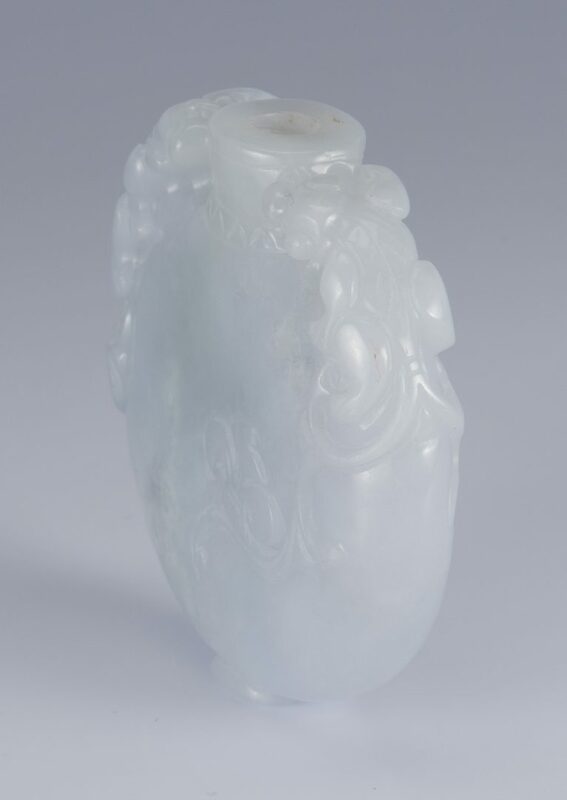 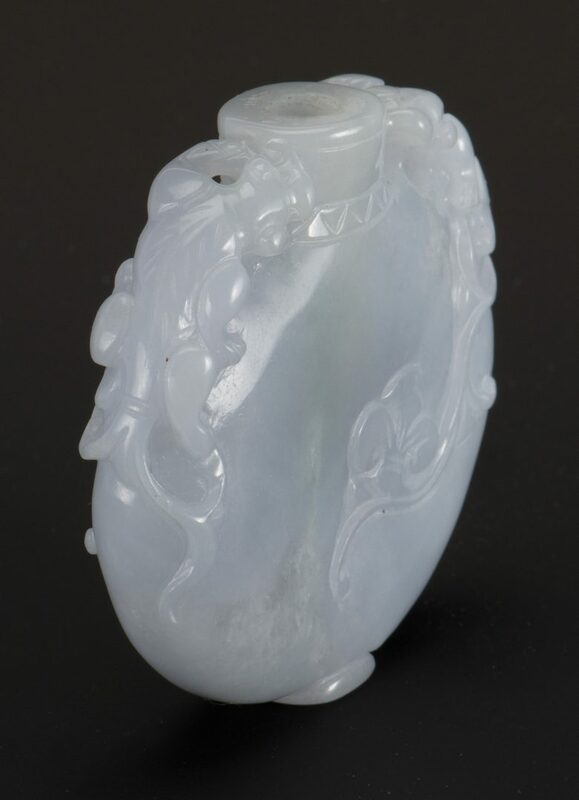 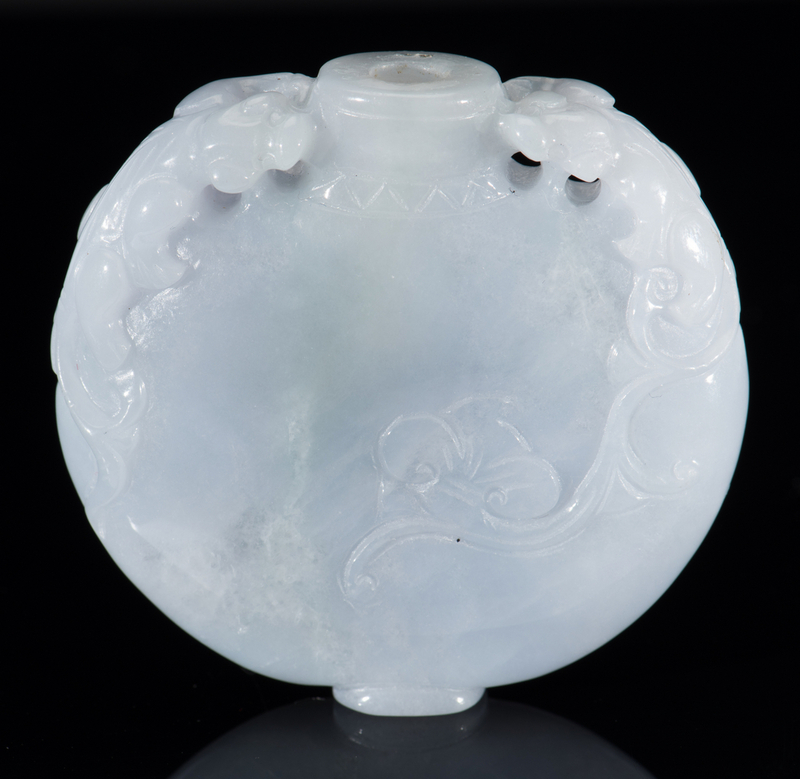 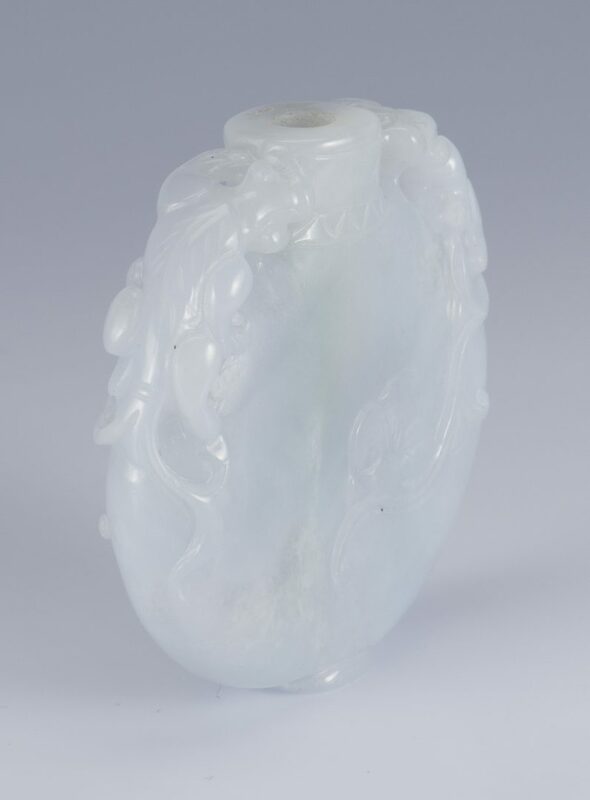 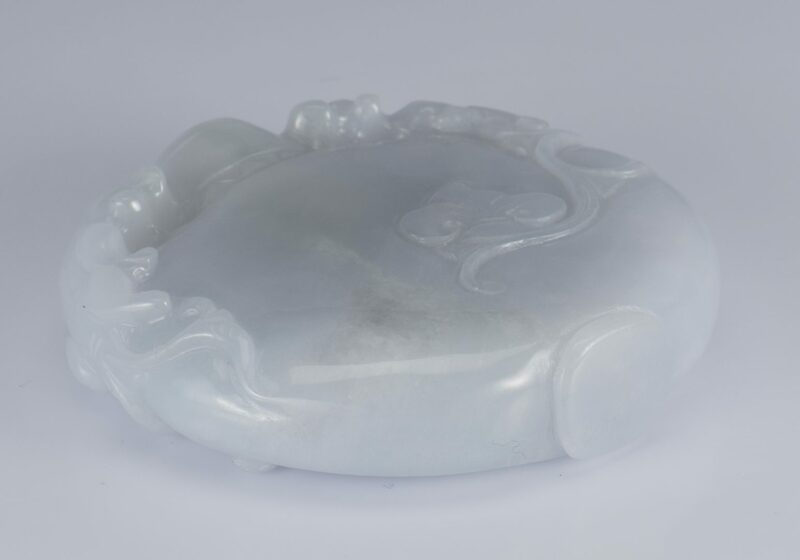 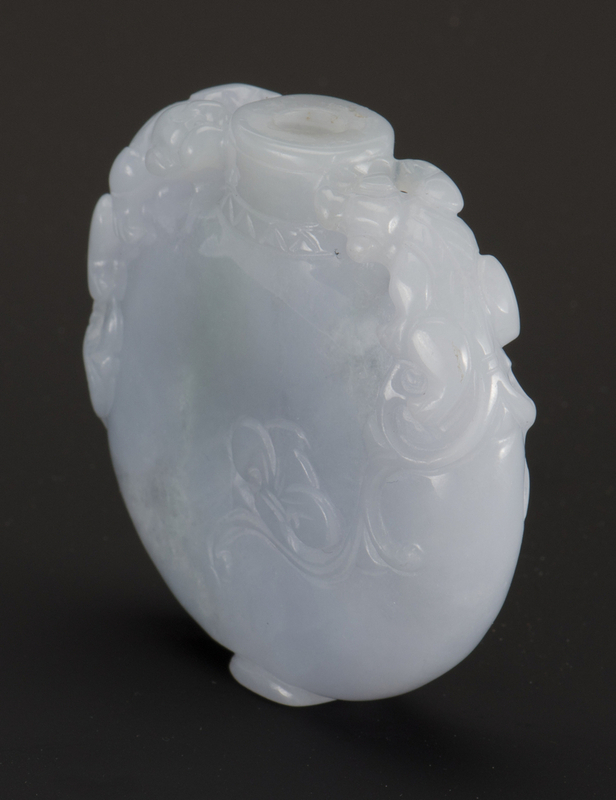 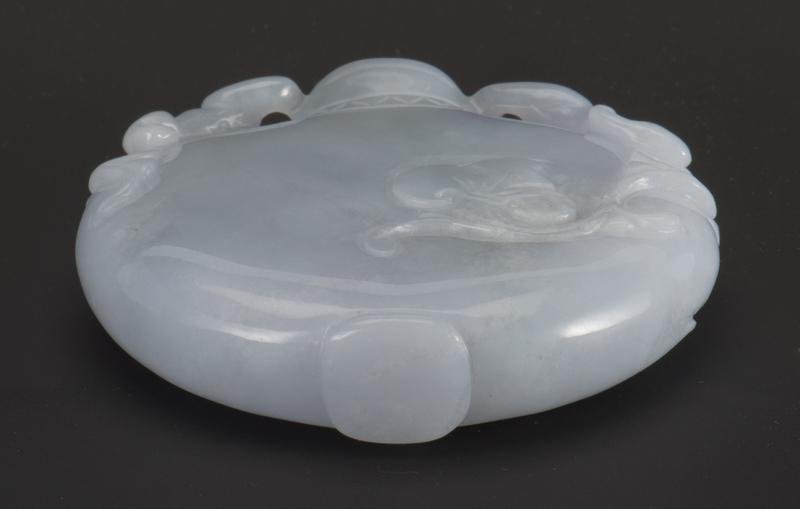 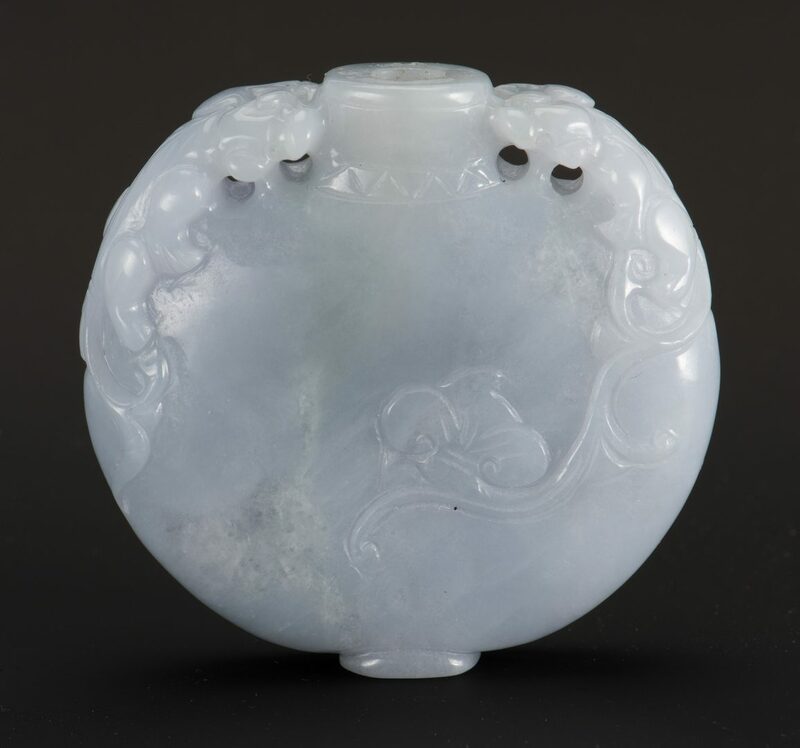 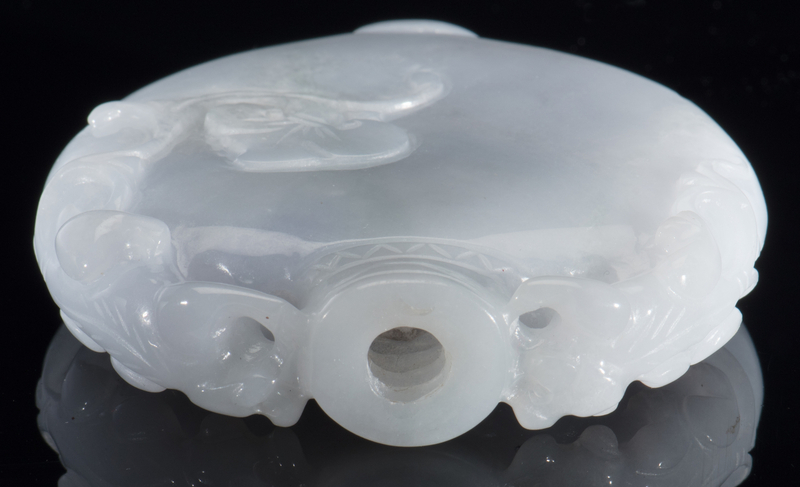 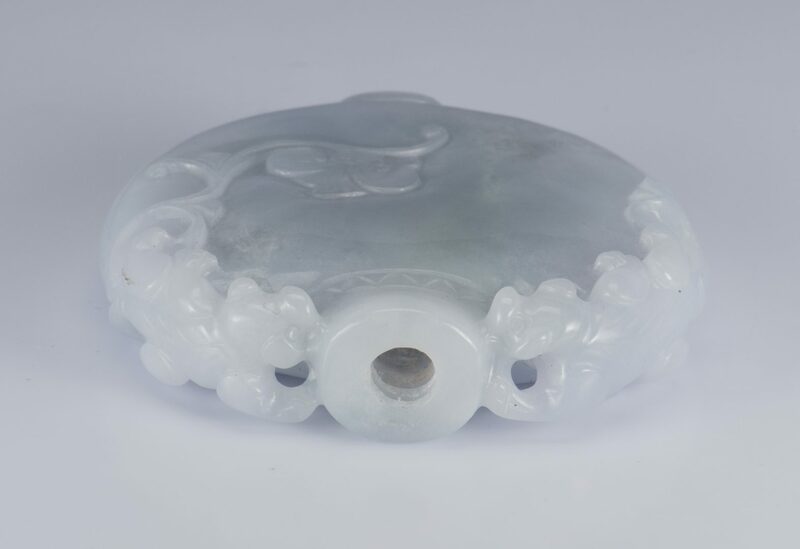 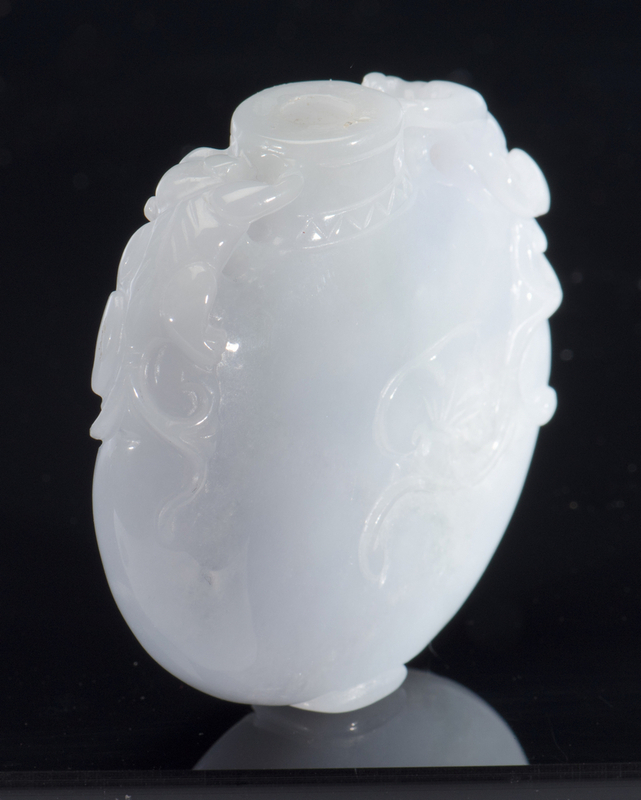 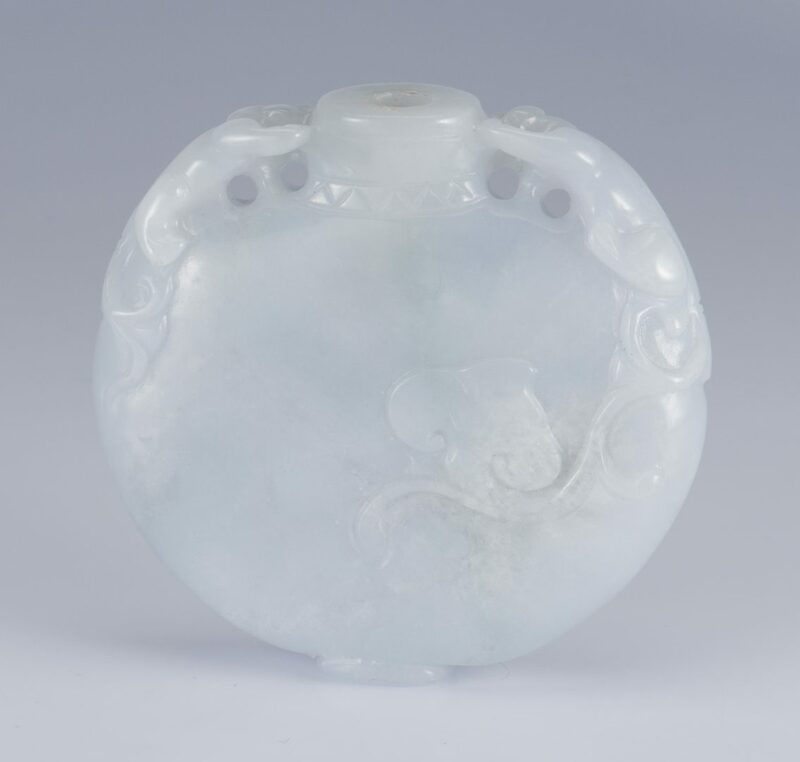 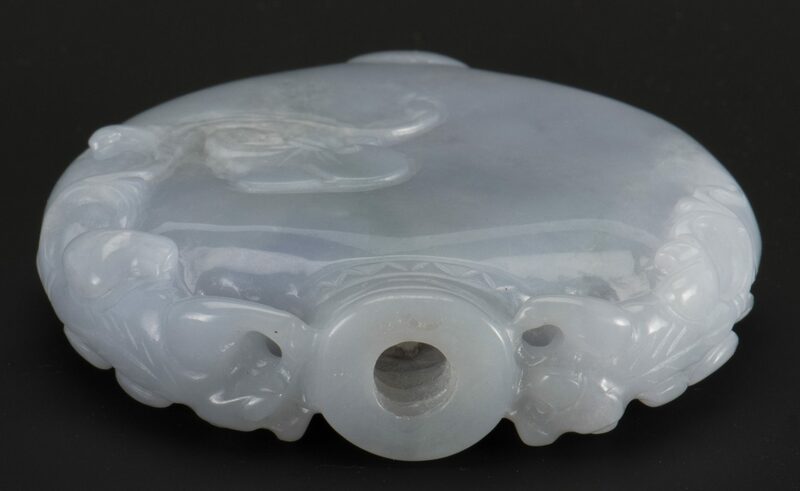 Lavender jade snuff bottle, flattened disc form with carved Chih-lung dragons at shoulder and low relief floral design to body. 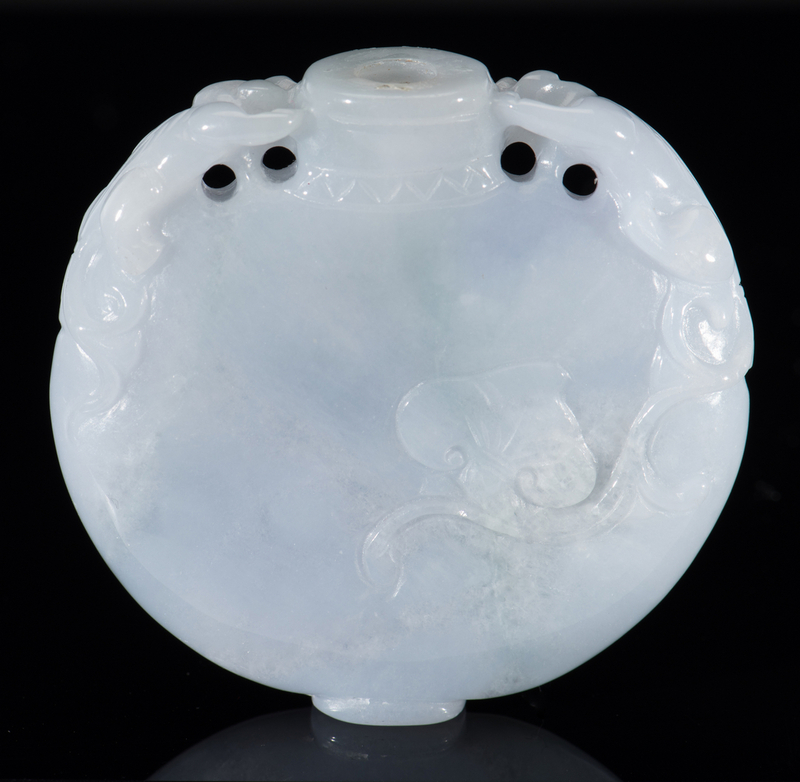 2″ H x 2″ W. x 3/8″ D. Chinese, 20th century. Provenance: The living estate of Dr. and Mrs. Benjamin H. Caldwell, Nashville, TN. 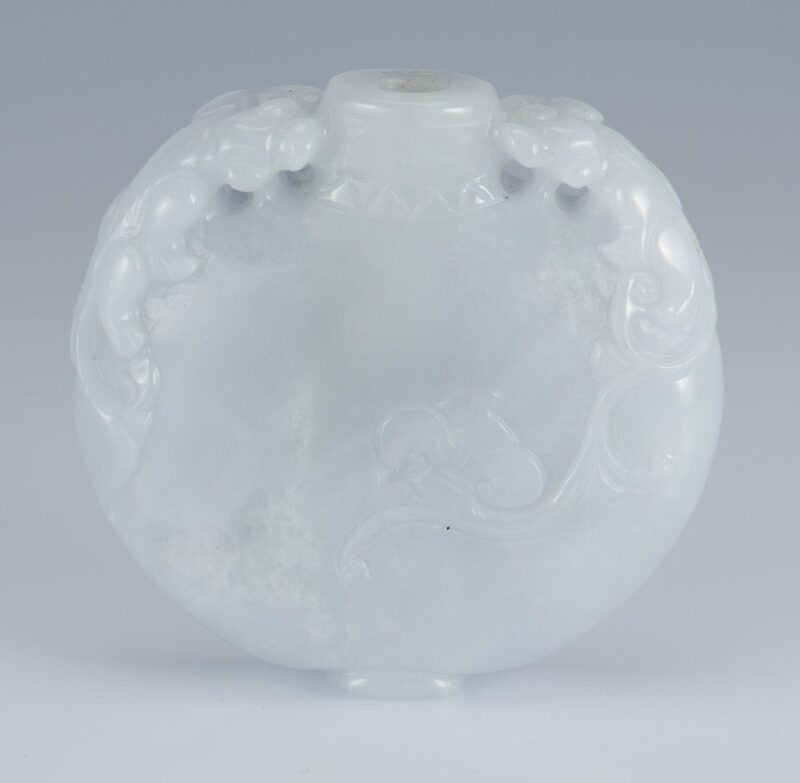 CONDITION: Lacking lid/stopper, appears to have disintegrating paper stuffed down inside the bottle; otherwise excellent condition.